ALERT: $5 Day at Tampa's Lowry Park Zoo! 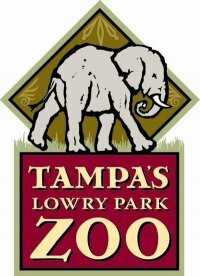 ALERT: $5 Day at Tampa&apos;s Lowry Park Zoo! Hey everyone! Travis here with some Tampa Bay entertainment that your wallet will be thanking you for. This Sunday, July 19, will be $5 Day at Tampa&apos;s Lowry Park Zoo! You will be able to visit more than 2,000 animals and learn about endangered wildlife for just $5 per person...all day! And, just to help you out a little bit more, extra parking is provided FREE at the Tampa Greyhound Track...just watch for posted directional signs. Free shuttles will run continuously from that lot to Zoo’s main gate between 9AM- 6PM. In case you don&apos;t know where that is, from I-275, take Exit 49 to Bird Street and go one block east. Then, just park in indicated areas. There&apos;s only one more $5 Day left this year after this (on Sept. 13), so make sure you take advantage of this while you can. And stop back by after you go and let us know how it was! And as always, keep checking back for more great things to do in Tampa Bay, and other great Tampa Bay area events!